The team at First Class Heating & Air want to be your service provider of choice for all of your furnace repair and Air conditioner (AC) repair needs in the Scarborough, ON area. When you are experiencing an emergency, we realize it is often at the most inconvenient time and extremely stressful. That’s why we are dedicated to your peace of mind. Our staff of highly trained technicians will be there when you need us. Our round-the-clock emergency service ensures that your repair is a priority and it is taken care of immediately. WHAT SETS US APART FROM THE COMPETITION ? We believe in the good old-fashioned concept of customer service. When you call, we will be there when we say we will be. 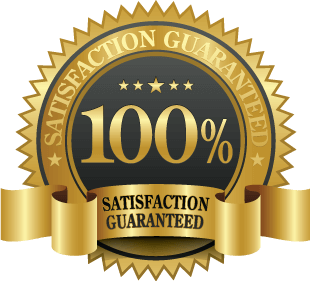 We will make the repair in a timely fashion, we will charge competitively and we will leave your home as it was when we arrived. These ideas seem like simple, common sense. Yet common sense often is not so common. With so much competition in the area today, we know that there are many companies you can choose from for your AC repair or furnace repair in the Scarborough, ON area so we pride ourselves on the finest customer service in the business. More people return to us time after time for this simple reason. Home ownership is the largest investment of your lifetime. The systems that ensure your comfort on a daily basis are taken for granted and when they breakdown, it often comes out of the blue. We are here to help. Our team of highly qualified professionals have the experience to locate your issue and make the repairs necessary for your life to return to normal. We are there to offer you our prompt, professional and dependable service when you need it most. WHY CALL A PROFESSIONAL ? Your heating and cooling systems are complex machinery. It shouldn’t be left to the weekend handyman. Heating systems that rely on combustion can be dangerous if not properly serviced. We have the experience to ensure that repairs are made professionally so you are not putting your family’s safety in jeopardy. We also are aware of when a repair can fix the issue or when a system has just run its course. Furnace and air conditioning systems have a certain longevity. When repairs become chronic, we can help you decide whether continuing on that course makes sense or whether a new system can be more cost-effective. When that time comes, we will give you expert advice on the appropriate system for your particular home’s layout and your living style. This should not be left up to an amateur. We have the expertise to give you qualified information when your need it most. Not only are we the premier company to call for all your Air conditioner repairs and furnace repairs in the Scarborough, ON area, but we are the company to call for repair prevention. Seasonal, regular preventive maintenance is key to all heating and cooling devices. A regular tune up and cleaning can often head repairs off at the pass. Maintenance is key to your heating and cooling systems running efficiently and properly. We would be glad to set you up for a maintenance program so you can have peace of mind that your heating and cooling systems are operating at their potential and most efficiently and cost effectively. Our trained staff will do a thorough inspection and cleaning of your system before it becomes a repair headache. HOW DO I KNOW IF I NEED A NEW SYSTEM ? Beside an operational lifespan, your air conditioning and furnace thrive in a clean and properly maintained environment. Often, it is the last thing we think about until it’s too late. If your heating and cooling systems have been chronically dirty and repaired haphazardly, it wears on its ability to do an efficient job and shortens its lifespan. When a system becomes old, it is no longer dependable and drains your finances. We will be honest when your system is ready to go and offer you advice on the new, energy efficient systems on the market. We offer all make and models and can recommend the one to suit your needs. Call First Class Heating & Air for all your furnace repair and air conditioner (AC) repair needs in Scarborough. We want to earn your business so your can rest assured that your home’s heating and cooling systems will be operating properly when you need them most.